What Golf Ball Color is Best For Fall Rounds? Over the past several rounds, I have been conducting non-scientific experiments to determine which golf ball color is best for fall rounds. On each hole, I have been alternating between the Volvik Vivid Orange, Srixon Q Star yellow, and plain white balls of various makes. I also slipped a few Callaway Soft orange balls into the mix. My hypothesis was that the orange and yellow balls would be hard to distinguish from the orange, yellow and brown leaves. Still, I thought that the awesome shockingly bright orange of the Volvik might stand out. It is perhaps the most unnatural color I have ever seen. 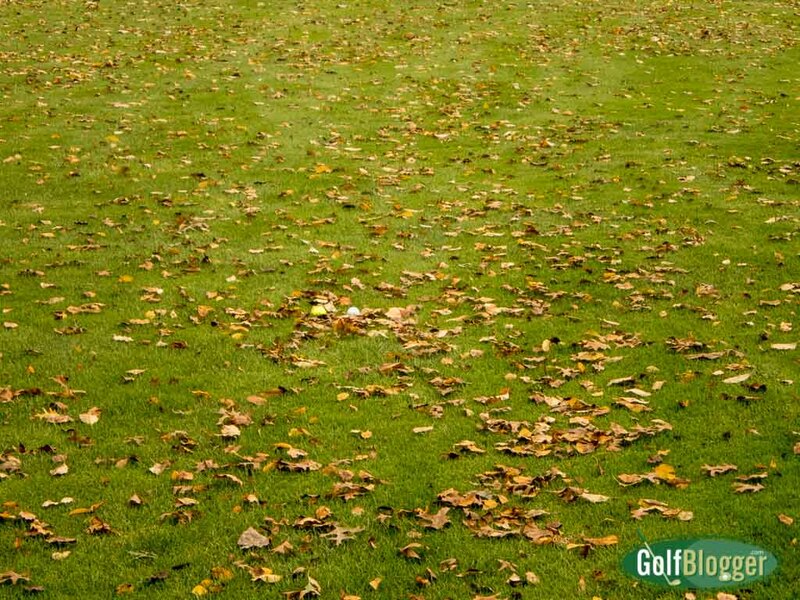 After several rounds, I have come to the conclusion that, for golf among the autumn leaves, white is the clear winner. It’s just easier to pick out among the other colors. You can see the differences in the photo at top. From left to right are a Srixon yellow, a white Vice and a Volvik Vivid Orange. While I have been completely unable to capture the vivid hues of the Volvik, it really was much harder to see than either the white or the yellow among the leaves. The photo is honest in that aspect, at least. Part of that, I think, is the orange-red glow of the late afternoon autumn sun. Unfortunately, the Volvik Vivid doesn’t come in yellow. I think that might actually be the winner, given that the Srixon yellow was second to the white. The Volvik Vivid does comes in green and red, however. I think the red would not be as good as the orange. I have wondered, however, if the green might be easier to see among leaves, but am unwilling to shell out thirty bucks to find out that I’m wrong. Going forward, I’m just going to buy some cheap white balls — the Nike Mojo while it lasts, and then probably the Pinnacle. That way, I can just abandon balls that I can’t locate within a few minutes. I play the vast majority of my fall rounds alone, so I can’t count them for handicap purposes. Therefore it doesn’t matter if I just drop a ball and play on.